The munching explorations of Laszlo, our new puppy, has had me in stitches more than once this summer. When I trimmed and bundled garlic, the puppy was sitting underneath the patio table chewing on leaves and stalks that fell down. I did not realize that a big fat garlic clove had dropped down as well, until my husband, who was lying down with a headache and cuddled with Laszlo for comfort, wondered about the puppy’s intense garlic smell, which made him feel even worse. Walks are a rare occurrence for us in spring and summer when there is too much outdoor work to do. But now most of it is done, and our 4-month-old puppy gives us a pressing reason to go for a long stroll on our grounds every day. And every walk with Laszlo has its excitements. We have to stop him when he pesters his 14-year-old mate Woody too much (for that purpose, we usually go equipped with a spray bottle of water), and that he does not munch on anything that could harm him. Milkweed, which grows wild in big patches in our yard, has been a favorite of his since the beginning. In the fall, the seed pods are filled with fluff and he still eats them. The seed threads fly right and left out of his mouth as he chases away from us because he understands that he should not eat them. 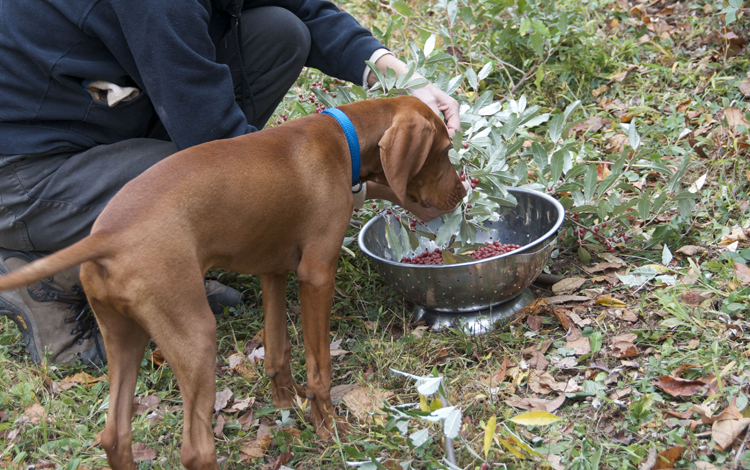 Our daily walks with Laszlo have led to two discoveries: that we have a native crabapple tree growing in a briar patch, the only tree of its kind we have ever found on our property; and that the fruit of the autumn olive, aka autumn berries, are absolutely delicious. My husband had planted the fast-growing autumn olives many years ago as a wind break, not knowing how invasive they are. He was in the best company – the U.S. Soil Conservation Service also widely distributed and planted the shrub. Over time, the autumn olives had spread all over the place. Last fall, we made it a weekend project to pull as many as we could. I had always wondered about the bright red berries. I read up about them and learned that the berries are indeed edible, actually more than merely edible – extremely nutritious too. The tricky thing about harvesting them, I also learned, is to pick the berries when they are fully ripe yet before the birds eat them all. On our daily walk I kept an eye on the berries because this year, I wanted to try them. When I tasted a berry a couple of days ago, it seemed just right, tart but fruity. 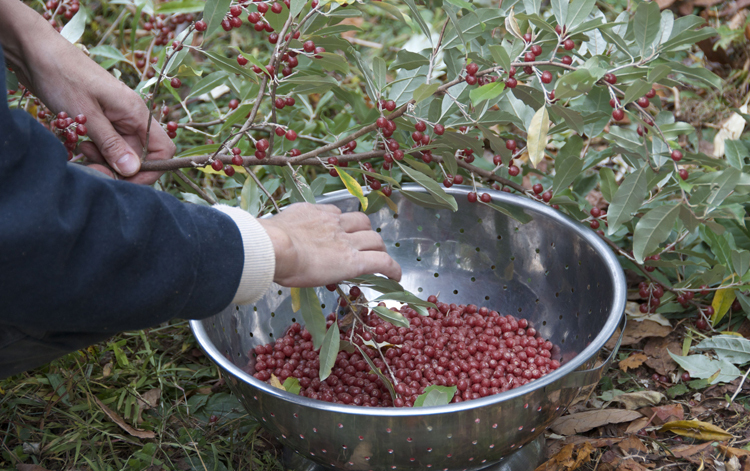 So yesterday I went picking, or better, I removed a few branches loaded with berries from the shrub and stripped it. Of course Laszlo had to stick his nose in the bowl, and I had to make sure that he did not get hurt by the thorns of the branches. Autumn berries contain a high amount of lycopene, a photonutrient that can prevent cancer and cardiovascular disease: 40 to 50 mg per 100 g, compared to 3 mg per 100 g in fresh raw tomato. And indeed, when I processed the autumn berries, the color and consistency reminded me a lot of tomatoes. Yet the similarities end right here. The pulp is delicious, although the taste is hard to describe: like a blend of cranberry, raspberry and pomegranate. 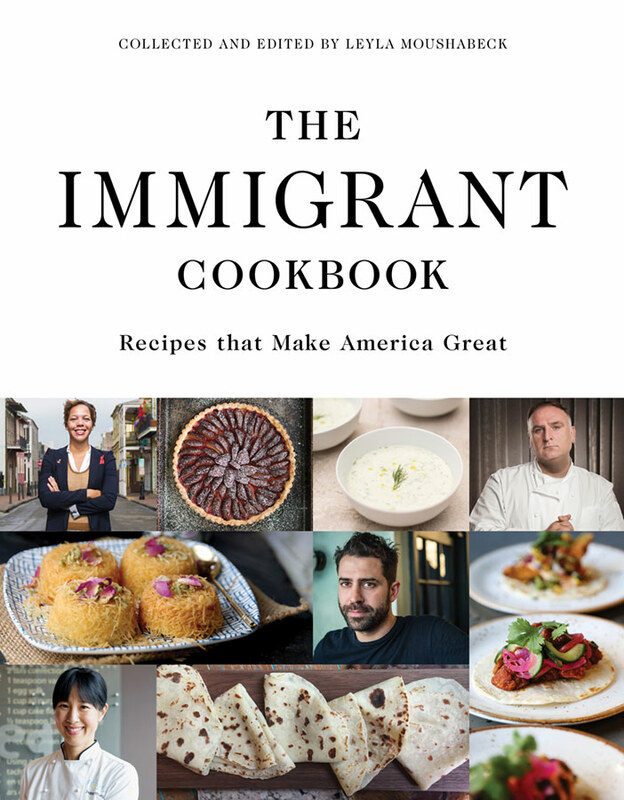 The sauce tastes great straight from the jar, but I can also imagine it with vanilla ice cream, rice pudding, panna cotta or pancakes. 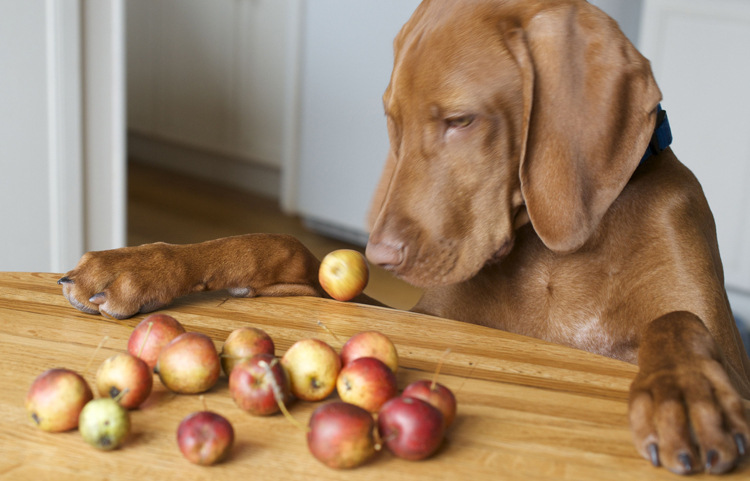 Without Laszlo, I would have certainly missed the moment to harvest those berries. Not at all sure what the yield would be I picked about three pounds and got a little less than 2.5 pounds of pulp out of it, which made three pints of sauce. This is more than we can eat soon, and I know in the depth of winter we will appreciate this super fruity treat, so I processed two of the jars in a boiling water bath for 10 minutes. 1. 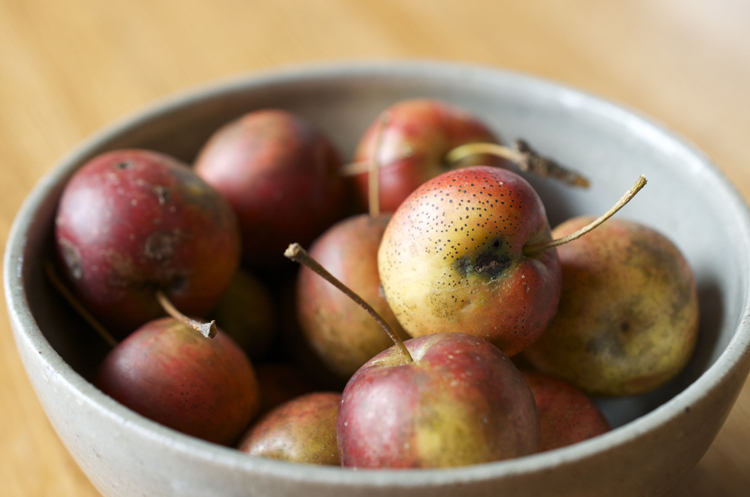 Cook the berries over low to medium heat until they start to release their juice, stirring often. Bring to a boil and cook until mushy. Cool slightly, then pass through a food mill with a fine plate. Weigh the pulp and add one third of the amount in sugar. 2. Rinse the pot and return the pulp to the pot. Add the sugar and cook over low to medium heat until fully dissolved. Taste for sweetness and add more sugar if desired. Fill in sterilized jars and refrigerate, or process in a boiling water bath for 10 minutes. 1. Warm the pulp in a saucepan over low heat. Add the honey and stir until fully dissolved. 2. Line two jelly roll sheets with parchment paper (I used a large and a small sheet; if using two large ones, you won’t fill the second sheet entirely). 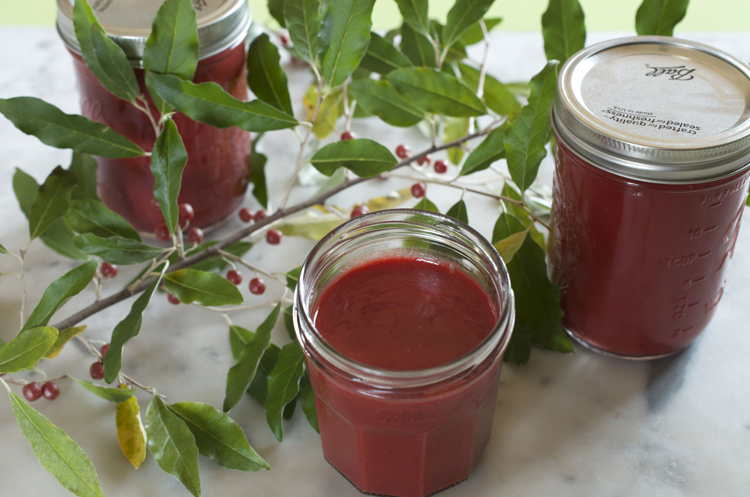 Pour the puree onto the sheets and distribute it evenly by tilting the sheets, or using a dinner knife or a spatula. 3. Place the sheets on the first and third or second and fourth rack of the oven to allow for ample air circulation. Set the oven at the lowest possible temperature, 140 to 170 degrees F, and dry for 10 to 12 hours, until the fruit leather is still tacky but when you touch it, no fruit pulp sticks to your finger. Turn off the oven and let it sit for several hours, or better overnight, with the oven door closed. 4. The next day, gently peel off the parchment paper. If you cannot remove it at once, do it in pieces. 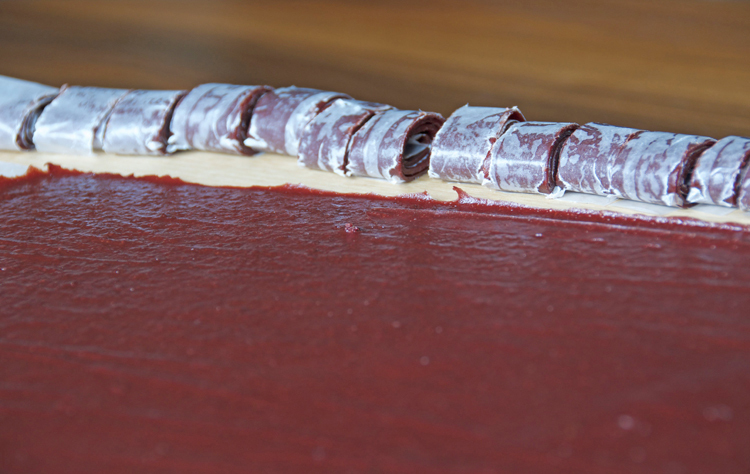 Place a piece of wax paper large enough to hold the fruit leather on a clean dry work surface. Place the fruit leather on top and roll it up with the wax paper from the long side. Do not roll it too tightly or it may crack. 5. Place the roll on a large cutting board. With a finely serrated knife make a deep cut into the roll every ¾ inch or so, then cut the roll into pieces using a chef’s knife. Store the fruit leather in an airtight container and refrigerate. It keeps for up to 5 months. I must have missed this post when you posted it, so I’m glad you referenced it. Although I’m not a dog person, I must say that those are great dog pictures! And I’ll have to look for autumn olives. I think I once saw them planted by the highway in the Columbia River Gorge. Oh… Laszlo is the most gorgeous reason for a walk I have ever seen! He is beautiful! 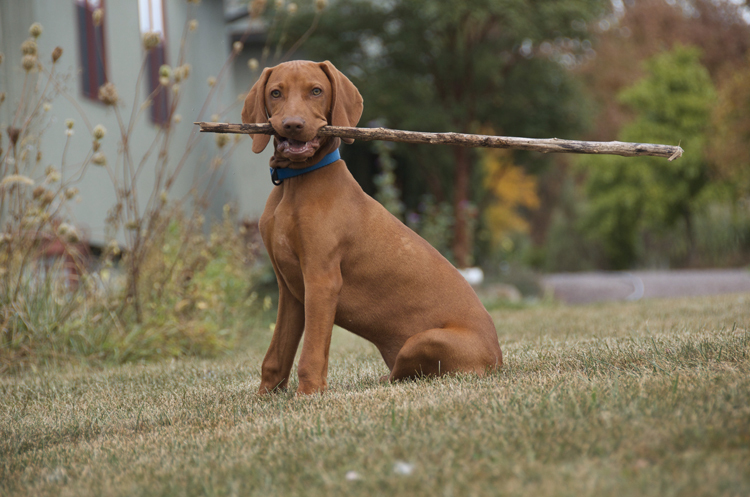 My brother has a Vizsla, they’re the loveliest animals. Happy you!